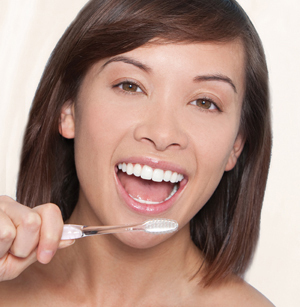 Keeping your teeth and gums healthy is just as important as keeping the rest of your body healthy. In fact, healthy teeth and gums help keep your entire body healthy. A healthy mouth can add 10-15 years to your life! Our hygiene staff uses the latest technology to gently and carefully clean all tooth surfaces to improve and maintain your oral health. And, of course, we give special attention to dental cleanings with our younger patients. Our staff has a way with kids that puts them at ease and educates them on the importance of dental hygiene. Your children’s regular dental visits will be educational and fun, building a sound basis for a lifetime of good dental health. We even offer a children’s “get acquainted” visit at no charge, so the little one’s first visit can be all about fun and learning. Are you due for your regular dental cleaning in Lawrence? Schedule your appointment with our dentist today!